From Cambrils to Palma, passing Dragonera….. I am finding it hard to believe that we are fast approaching December, the Italians and the Spanish all think Jess and I are crazy ape bonkers for walking round in T-shirts and shorts, but Its 22 degrees- better than our summer!! Cambrils is a great place that really comes alive after dark, fantastic restaurants serving the freshest fish, which was apparently very good (not being a fish person- I stuck to the steak, which was very good) and all the people that we met were all very nice and helped out by patiently listening to my rubbish attempts at Spanish before smiling nicely and pretending to understand! We had some help in cleaning Magellano on the first 2 days which was greatly received after our busy night at sea, but today we cleaned her down ready for our final guests to come aboard. 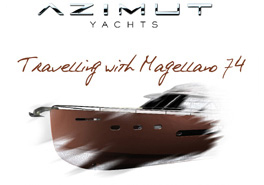 Something very strange has happened…… I have become very house proud, Magellano is such a fantastic looking yacht that even the smallest smear or smudge has me running for the cleaning cloths! We are appraoching Dragonera, and all I can say is that this is certainly a breath taking sight, just one of the many that we have been presented with since embarking on this odyssey. The taste of adventure breeds a longing for adventure and Magellano provides us all with the ability to search, find and enjoy the adventure. 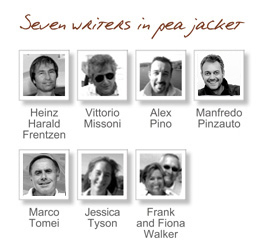 We are, as I write steaming at 21 knots heading for Palma. Breakfast in Cambrils, supper in Palma! Magellano looks beautiful and I’m glad to hear that she’s looking after you all so well.